The Jamaica Environmental Trust (JET) has launched “Jamaica for Sale”, a 92 minute video documentary highlighting disturbing issues behind the island’s normally rosy sun, sea and sand tourism image. “We want to raise hard questions about the tourism industry, especially in light of the recent rise in a certain kind of tourism. There are costs. We are asking questions about these costs,” said Diana McCaulay, Chief Executive Officer of JET. The video features the faces and voices of Jamaicans and other Caribbean personalities talking about life in the wake of a “burst of construction” of mega-hotels across Jamaica’s coastline. According to McCaulay, the film features a range of issues, showing how gains from tourism development come at a high price to the people. “Government is selling off beaches … and sometimes entire islands. This cuts off local citizens from having a say in what happens around them,” added Mimi Sheller, a sociologist from Swarthmore College in the United States . Early in the film construction workers detail the ill-treatment and low wages they receive from the Spanish hotel developers. The film featured small hoteliers and other citizens talking about the wide scale removal of the mangroves, wetlands and the breeding grounds of indigenous birds and turtles. Others mentioned the lack of support structures for the developments such as transportation and housing for the hotel workers. One settler testified about the suffering she endures after her eviction from the home she and her family inhabited for generations. All of these things were done to make way for mega sized hotel development. Craft vendors and small business operators describe the loss of business and lack of support they get from all-inclusive resort operators. Some complain that visitors are warned that they would be robbed if they ventured into the towns. Fishermen gave startling and even unintentionally humorous testimonies about the disappearance of the fish caused by mega hotel developments on the coast, and fisher folk’s futile attempts to find new fishing grounds. “The hotel dem a follow we everywhere we go,” says Troy Jumpp, fisherman from the Whitehouse Fisherfolk Co-operative. There was irony too as even the hoteliers in coastal properties complain about the lack of fish and other species in the seas their visitors come to enjoy. Utterances by three former Jamaican prime ministers on their tourism development policies were interspersed throughout the film. Political representatives, social scientists and economists weighed on the issue, speaking about the “slavery” conditions of the workers, the lack of economic benefit to the poorer people and great developments fronting squalor. “Jamaica for Sale” shows how places of historical significance were disappearing to make way for cruise ship facilities. This will happen to Falmouth, a town in northern Jamaica, the site of centuries old forts, churches and markets. It was once so prosperous that it had running water before New York. “Jamaica for Sale” featured security guards chasing locals from beaches which were once free to them – while the soundtrack featured a popular Calypsonian singing, “This beach is mine.” But it is not just the beaches. In one village the waste management plant from a prominent hotel causes a perpetual stench in the community, and the residents lament that apparently nothing is in the works to stop it. Regarding the damage from tourists themselves “Jamaica For Sale” is not short on the facts. It pointed out that the average tourist drinks 10 times more water and produces three times more waste than locals. Tourism also demands high usage of energy derived from fossil fuels. This also has implications for climate change. “Jamaica for Sale” shows how local people are being cut off, penned in and denied their voice – all in the name of tourism development. The video, places a major emphasis on the “real” price of tourism development. 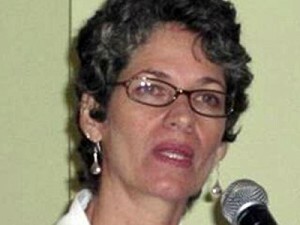 Film-maker Esther Figueroa of Vagabond Media co-produced “Jamaica for Sale ” for free with a budget of US$30,000 contributed by donors such the United States Embassy and individuals Louis Slesin, Bryan Langford, Maxine Burkett, Josh Stanboro, William Whitman and Meleanna Meyer.